What does Friedman stand for? 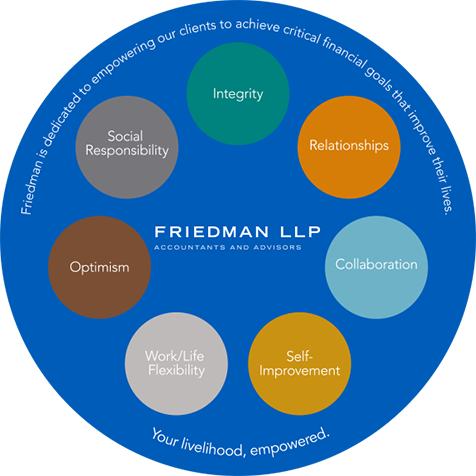 Friedman is dedicated to empowering our clients to achieve critical financial goals that improve their lives. We take our clients' interests, their business, and our relationship personally—providing powerful expertise, hands-on attention, and continual care that help drive them forward. Aligned with our purpose is a set of core values that permeate our interactions with clients, employees, and our community. At the center is that people come first!